We are underway here at the college for the 162nd (I think) time, and yesterday, at opening convocation, we celebrated the annual ritual of the faculty photo on the steps of Main Building. 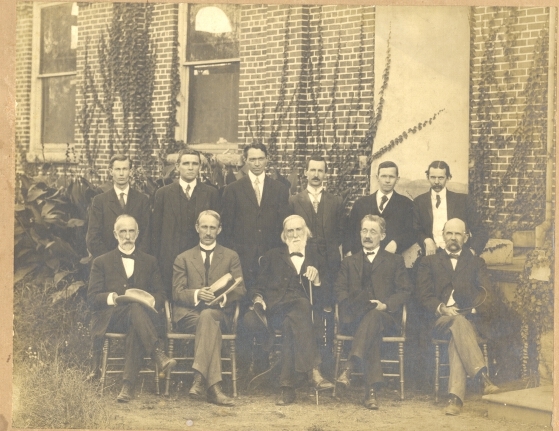 So, for Flashback Friday, here’s a faculty photo from 1908. We were a little smaller in those days.